Flight simulators are some of the most beloved games and experiences, because it’s the closest humans will ever get to soaring around the skies unless they happen to be pilots. I’ve always idolized pilots as my heroes from my early childhood, and flight simulators allowed me to become a pilot at a young age. I remember in the early 2000’s when I enjoyed playing the flight simulators on XP with the joystick and pedals, and now I’m able to enjoy the same flight simulators in VR headsets. 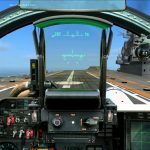 Today’s flight simulators take you beyond the small screen by immersing you in the cockpit of commercial airliners, fighter jets, and even spacecraft of all sizes. The thrill of getting behind the controls of a plane in VR is unparalleled and will leave you wanting to learn how to fly in real life. Heck, if you spend enough time in the simulators you’ll even learn how to pilot an aircraft. 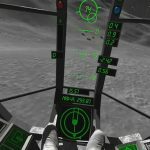 Our short list of the best VR flight simulators include hyper-realistic options, but also has combat simulators that let you battle on land and sea. There may not be a lot of options out there just yet, but the ones we’ve found will get the job was done and more. Aerofly is quite honestly the only VR flight simulator that emulates the classic Microsoft Flight Simulator X with high-quality graphics and highly detailed planes, airports, and flight controls. The detailed 3D cockpits are fully interactive with buttons, switches, and knobs all working and being used during the flight simulator. There are hundreds of airplanes you can fly or attempt to fly, and there are over 150 airports to land and take off from. The stunning photo-realistic landscape will have you amazed, and trick you into thinking that you’re piloting an aircraft. The flight physics are also as close to real life as you can get, making it an excellent way to possibly train for real flying even. Overall, if you want a hyper-realistic flight sim, the Aerofly FS 2 is hands down the best option. If flying around Earth is too boring for you, Lunar Flight will immerse you in a 1960’s Lunar Lander. The game is inspired the classic arcade game, Lunar Lander, but takes a first person appears to land and exploring asteroids and the moon. There’s a thrill of only having seconds of fuel left, and being mere feet from crashing your spacecraft into the lunar surface. While the cockpit is small, and the windows are hard to see out of, the cleverly designed nav system helps you quickly land your lander. Getting accustomed to the flight controls and physics takes a little time, but once you have it down, you’ll breeze through the game. You’ll have to remember to watch fuel level, vector, trajectory, and keep in mind there isn’t any atmosphere to slow you down. All-in-all, I would recommend the game to any space nerd who also owns a VR headset. 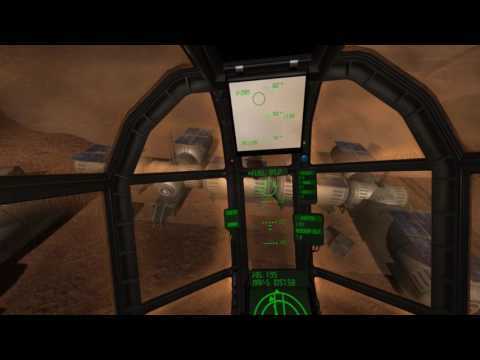 DSC World is a digital combat simulator, which has a heavy focus on flight. There are other vehicles including tanks in the game, but a lot of the gameplay can and does revolve around flying. If you’re thinking “the game must sacrifice realistic flight controls for a broader story mode” – you’re wrong. The 3D cockpits are expertly designed with interactive controls, and of course weapons. The bombs, missiles, and other weapons give a unique spin the flight simulator. The game is free to play with two free aircraft to get your feet wet in the combat simulator. If you enjoy the game, you can buy a DLC with more aircraft to spend hours on end in the flight/combat simulator. Overall, it’s a great flight simulator with other vehicles that are just as fun to drive or operate. War Thunder is further from a flight simulator or a combat simulator, but still offers a range of aircraft to fly. The game is an MMO where you can battle with vehicles and aircraft from WWII and the Korean War. The flight cockpits still offer interactive controls, but they’re not as advanced as DSC or Aerofly could and do offer. 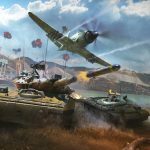 On the side of gameplay War Thunder offers a story that lets you play with others in realistic battles. There are hundreds of tanks, aircraft, and other vehicles from the era to fight against each other with. War Thunder is a great option if flight simulators are too slow for your taste. The game will give you realistic flight physics with interactive cockpits, but also give you missions and goals to accomplish over just trying to fly to the next airport. Flight simulators have been around since the dawn of gaming in one way or another, and they’ll continue to get more realistic and compelling with the introduction of VR. Flight simulators aren’t always fun and games, the military and commercial schools uses them for training as well. 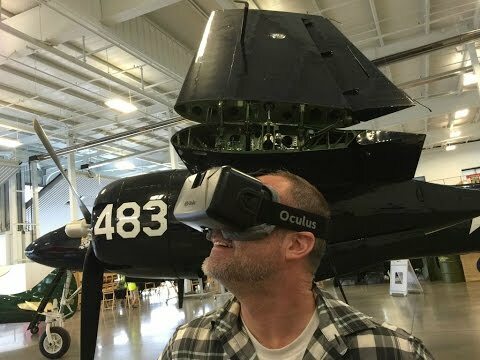 The use of VR could not only bring the cost of flight training down, but give ordinary folks the chance to see how training is done. If you know of other VR flight simulators we should have included on the list – tell us in the comments below! Also tell us which flight simulator from the list is your favorite!